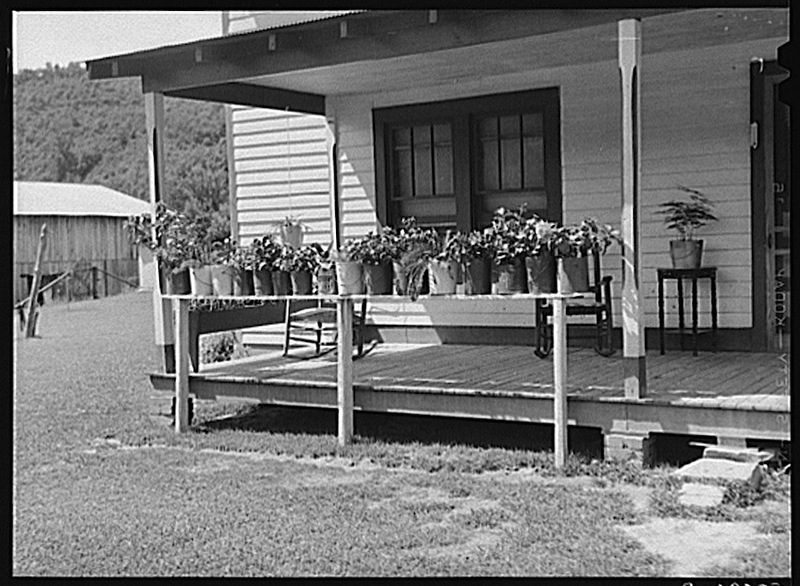 Farmhouse porch with plants in painted lard buckets, Morehead, Kentucky, 1940, by Marion Post Wolcott for U.S. Farm Security Administration/Office of War Information, via Library of Congress Prints and Photographs Division. I wish we could see the colors of the painted* containers. *Here, here, and here are examples of 1930s interior paint color combinations. Interesting. I wonder what keeps them from blowing off, Come a wind ? What a lot it takes to have clean, orderly farm house, land. I hadn’t thought about the wind, but I think they may have stayed in place by sheer weight — if the pails are filled with damp garden dirt, as I suspect, rather than the compost or soil-less mixes that we use these days. You are right about the hard work of a farm. 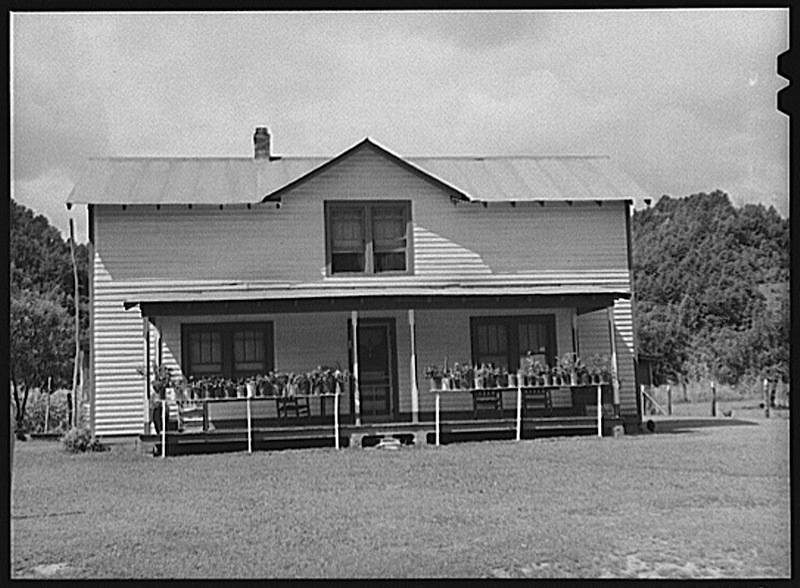 There is not a bit of ornamental gardening in the ground in the three pictures of the house, so I imagine that the rows of pots were what the farmer or his wife could manage.